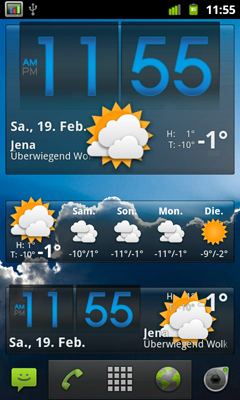 Beautiful Widget apk dosyasını market den indirebilirsiniz. İndirdiğiniz dosyaları zipten çıkarıp sdcard\data\beautifulwidgets\skins dizinine atıp beautiful widget uygulamamızdan ekliyoruz. Hepsi bu kadar. 1st: spirelli-ginger-sc ; 2nd spirelli-innocent-sc ; 3rd spirelli-cyano-sc ; 4th spirelli-dena-sc ; 5th spirelli-honey (NEW) not in the set! Maybe for some people it’s hard to see the “indicator”. Maybe some thinks it have none, but it does. You see the white line in the inner ring. It reduces about 10% on every 10% step of decharging battery. With less than 40% the second inner ring (blue one) open as well. Hope you guys get the system very fast. Maybe I will design a number version later, for those who don’t like the minimal looking, and who want more clear and straight information. Choose your downloaded skin, and apply. 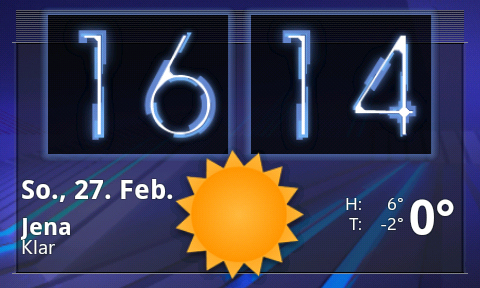 If you have any problems with installing the skins: Try to download them in Beautiful Widgets. You can download them in the Skin section! Level Up Studio’s install instruction should work on every phone. If not, just download my skins in the app. I decided to make only new skins just for custom roms or themes. Execept I love your color proposals. If you have a rom or theme ask me and I design you a matching skin.